In order to better help your patients, there are some key things about the Gut-Brain Axis that you should know. Here are some of the main ways that the brain and digestive system are related, and how science says that relationship affects our mental well being. So what exactly is the relationship between our digestive and mental health? Many factors influence the Gut-Brain Axis. On a basic level, the gut sends chemicals and signals directly to the brain. And in fact (unlike previously believed) 80-90% of vagus nerve signals are dedicated to communicating from your gut viscera to your brain.But the primary issues that usually impact this relationship are antibiotics, parasites, or factors leading to “leaky” gut syndrome. Antibiotics, which are commonly prescribed, inhibit certain types of good bacteria from growing in the gut. Studies are now exploring the potential link between these bacteria deficiencies to developmental brain conditions like autism. While people in developed nations do occasionally contract digestive parasites, they’re normally controlled and eliminated by a healthy immune system. However, in rare or severe cases, parasitic toxins can travel to the brain and cause severe damage. Finally, stress has been shown to cause increased intestinal permeability, resulting in a “leaky gut” that allows bacteria to cross the blood barrier. This, in turn, results in organ damage and impacts the surrounding areas. 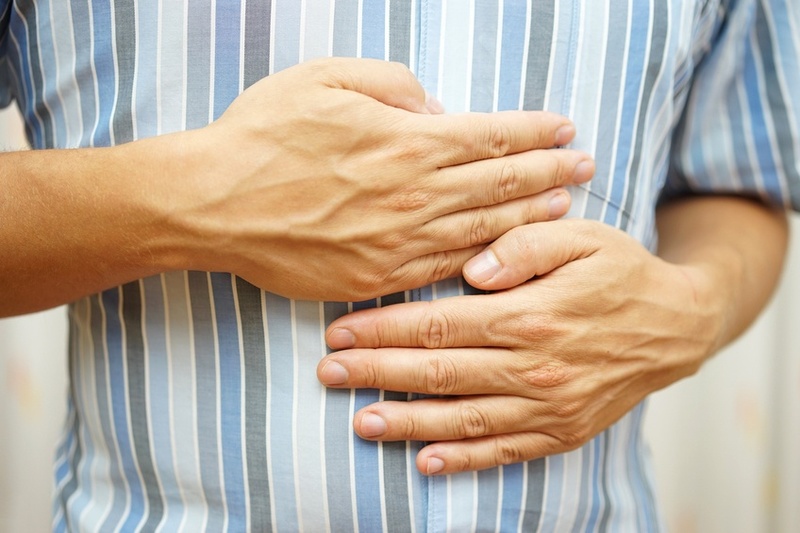 Even in healthy people, your gut affects your mood on a day-by-day basis. Certain kinds of healthy bacteria, known as “probiotics,” have been shown to reduce stress-related chemicals in rats. Moreover, a small study conducted amongst humans in 2011 found reductions in stress and anxiety after taking certain probiotics over a period of 30 days. In 2013, it was found in the United States that individuals who consumed yogurt containing probiotics on a regular basis showed lower levels of the brain chemical associated with the sensation of pain. Other research is confirming that, although we don’t know everything, there’s a definite link between probiotic consumption and mental health. These studies are all part of the ongoing effort to further pinpoint the specific areas in which the gut effects psychology. Some strains of gut bacteria can even secrete neurotransmitters such as acetylcholine, gamma-aminobutyric acid (GABA) and tryptophan. Another study found that when gut bacteria was transferred between rats, it caused them to behave more like the counterpart they received the bacteria from. Scientists are far from discovering everything there is to know about the Gut-Brain Axis, but they’re certainly on the right track. 3. Can the Brain Influence the Gut and Metabolism? It’s also worth noting that the Gut-Brain Axis is a two-way street. Scientists are now investigating how psychology can influence things like overeating, metabolic disorders, and diabetes. This occurs via nerve connections between the organs, and also through biochemical signals such as hormones. These signals and chemicals emitted from the brain affect a variety of organs, but have a particularly strong influence on the gut. Hunger is one of the main areas in which there’s a strong link between the brain, gut and enteric nervous system. Studies have now confirmed that neuronal activity can affect both sugar and insulin levels in the body. These chemicals, in turn, affect a person’s appetite and metabolism. When these neurons are inhibited, they drive blood sugar down, and increase the amount of insulin. This often results in decreased appetite, simply by altering brain chemistry. 4. Is Your Diet Fueling Depression? The Gut-Brain Axis is influenced by several factors, but none more so than diet. Poor diet has been linked to cases of chronic depression and anxiety. Most frequently, depression is associated with gastrointestinal inflammation caused by poor diet. While it’s still not 100 percent certain how much poor gut health causes depression, there’s little doubt that the two are inextricably linked. More often than not, sugar and processed foods are associated with poor gut health and depression. In severe cases, too much of these foods can lead to swings in blood sugar (hypoglycemia), which can lead to mood changes. High levels of sugar also lead to increased inflammation of the digestive system, negatively affecting the Gut-Brain Axis. Other culprits include hard to digest molecules like gluten, and “bad” fats found in certain cooking oils. These oils inhibit healthy cellular triggering in the brain, and tend to aggravate any symptoms of depression. The best thing to do to eliminate foods that could cause depression is to stay away from processed foods. Instead, switch to ingesting probiotics and naturally fermented foods (like Kimchi) to improve the balance of friendly bacteria in the digestive system. It’s also wise to get tested for any hidden food intolerance, as this can also result in increased inflammation and risk of depression. The enteric nervous system in humans is commonly referred to as our “second brain.” Our enteric system consists of about 100 million neurons embedded throughout our digestive system, from the esophagus down through the gut. Within the enteric system lies a plethora of bacteria, also referred to as the “microbiome.” These bacteria perform a number of functions, including breaking down food and fighting infections. This has given rise to a new field of “psychobiotics,” where scientists are striving to reduce the amount of unhealthy bacteria (while increasing the good) that are linked to depression. Studies in mice have actually found that low levels of a common gut bacterium called Bacteroides caused stress, anxiety, and similar gastrointestinal symptoms to those with autism. Science still has a long way to go in order to flesh out the exact relationship between the gut and the brain. But so far the evidence does conclude that digestion, the enteric nervous system, and mental health are strongly linked in many ways. By understanding how the two are related, and influenced by patient's’ diet and lifestyle choices, you’ll be able to better connect the dots and help them make healthier choices. Is the food you eat fueling your depression?